Professional and recreational anglers alike from Alliance to Massillon rely on the vast array of choices in the fishing gear at Kames Sports. 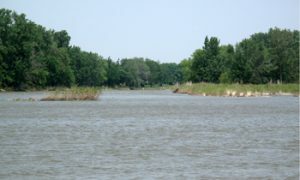 Their fishing department features all the fishing rods, lures, bait, and tackle boxes necessary to catch catfish and crappie in a local lake or bass and walleye from Lake Erie. Avid fisherman across the state of Ohio love to walk through the doors of this local sporting goods store to peruse the wide selection of fishing equipment available. 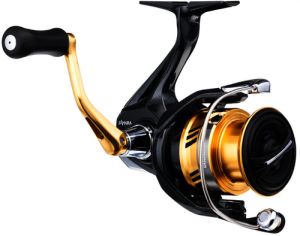 They boast a range of fishing/casting rods from Abu Garcia, Fenwick, and Berkley, a huge selection of Shimano and Pflueger reels, and a massive inventory of fishing lures from Bomber, Heddon, Arbogast, Yo-Zuri, Z-Man, and Luck E Strike. Anyone preparing for the upcoming bass, walleye, or sauger fishing season can visit Kames Sports! When the frigid temperatures of late winter in Akron and Youngstown are deep in an angler’s bones and they want to be reminded of their passion, they can start the task of getting ready for the spring fishing season. Fishing reels need routine cleaning and lubrication so that they perform their best, which includes removing old line and filling the spools with fresh line, as needed, and Kames Sports offers a variety of top-name fishing line. Depending on usage and product quality, monofilament has the shortest lifespan and should be replaced at least once each season, superline can last several years, and fluorocarbon can be used for a couple of seasons. Don’t forget to dispose of old line at the proper receptacles. 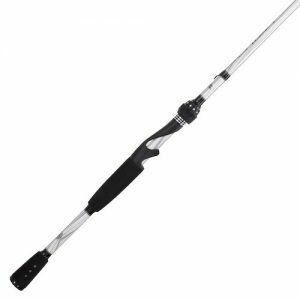 Fishing rods can be cleaned with mild soap and water, while being inspected for damage. While cleaning tackle boxes, it’s advisable to go through each tray to ensure the fishing lures and terminal tackle are easily accessible. It’s wise to sharpen hooks, replace damaged or rusty components, and make a list of missing items that need replaced. The last step involves cleaning and lubricating the tools, such as scissors and pliers, cleaning rain gear, personal floatation devices, and preparing the boat. Kames Sports is receiving daily shipments and populating their store and website with the newest, latest, and greatest products from all their manufacturers, so it’s the perfect time of year to visit them! Regardless if a professional angler in Alliance, Ohio, is preparing their tackle box and needs Arbogast or Bomber fishing lures to supplement their fishing gear or a recreational fisherman in Akron, Ohio, is aiming to upgrade to an Abu Garcia fishing rod with a Shimano reel, both can shop from the wide selection arriving daily at Kames Sports. This local sporting goods store offers the newest and best fishing equipment, from Fenwick fishing rods to Pflueger reels. Whether it’s bait or equipment, anyone from Massillon, Ohio, to Youngstown, Ohio, can take the short drive to Kames Sports on a cold winter day to prepare for fishing season! This entry was posted in Fishing, Outdoors, Recreation/Sports, Shopping, Specialty Shops, Sporting Goods and tagged Abu Garcia fishing rods Alliance Akron Massillon Youngstown Ohio, Arbogast fishing lures Alliance Akron Massillon Youngstown Ohio, Bomber fishing lures Alliance Akron Massillon Youngstown Ohio, Fenwick fishing rods Alliance Akron Massillon Youngstown Ohio, fishing bait Alliance Akron Massillon Youngstown Ohio, fishing equipment Alliance Akron Massillon Youngstown Ohio, fishing gear Alliance Akron Massillon Youngstown Ohio, fishing lures Alliance Akron Massillon Youngstown Ohio, fishing rods Alliance Akron Massillon Youngstown Ohio, Kame’s Sports, local sporting goods store Alliance Akron Massillon Youngstown Ohio, Pflueger reels Alliance Akron Massillon Youngstown Ohio, prepare for fishing season Alliance Akron Massillon Youngstown Ohio, Shimano reels Alliance Akron Massillon Youngstown Ohio, tackle boxes Alliance Akron Massillon Youngstown Ohio by admin. Bookmark the permalink.